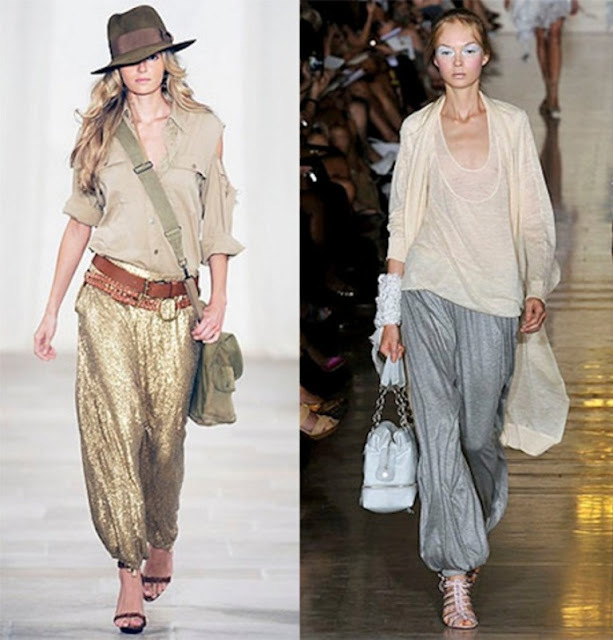 Let's Talk Fashion Over 50: What is a Fashion Fad ? What is a fashion FAD. It is a style that is enthusiastically accepted for a short period of time and then falls rapidly into disuse. The leisure suit gained popularity by offering an inexpensive, fashionable suit which could be used in formal business and on the disco floor. How about a fad from the 50's! 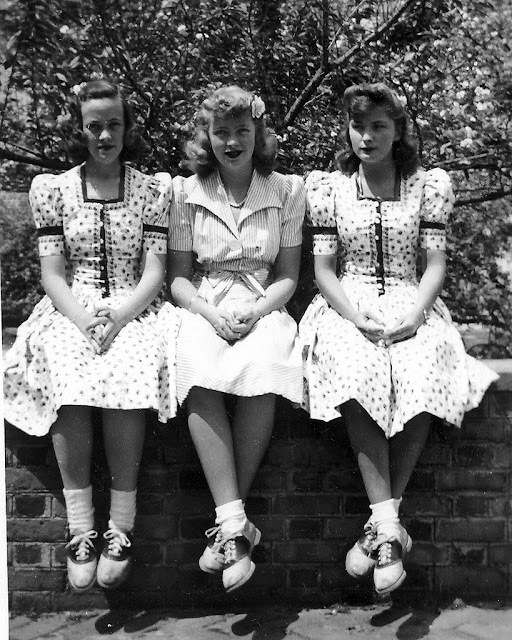 Black and white shoes associated with young girls and teens wearing poodle skirts. I remember the nightly ritual of carefully polishing them. 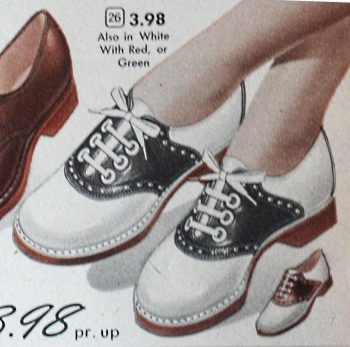 Think of the 1980's. 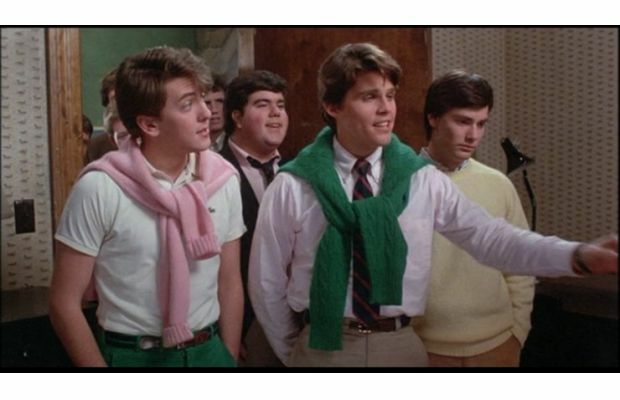 A new Ivy League look originating with the wealthy New Englanders was copied by young people all over the country eager to have that "preppy" look regardless of their lack of "old money" or trust funds. 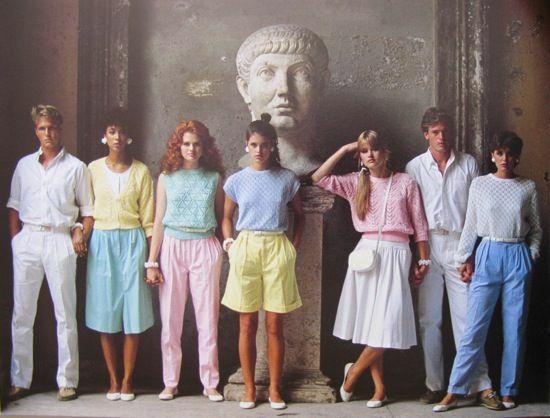 Thanks to this 80's fad, polo shirts and khaki pants are still part of the national wardrobe. 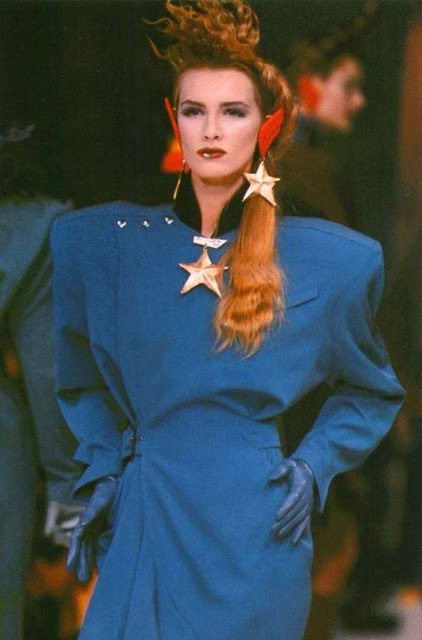 Also when we think of the 80's we remember the oversized shoulders for women's wear. 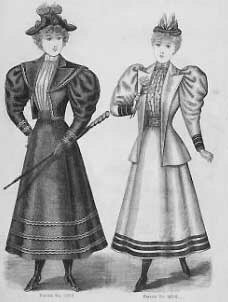 At the time, some felt that the power dressing shoulders gave an authoritative look to women in a male dominated work environment. I always thought that it was an effort to make a women's hips appear smaller. I have been reading some interesting articles about what some fashion gurus believe the fashion fads of 2007 to 2017 to be. For women, I believe that the look to be remembered is the ripped jean, not just at the knees, but everywhere. The look has been around for several years. Is it ready to fade? They were very common in the last year to decorate the waist. They appeared on almost all the tops including jackets, dresses and shirts. Will the look be short-lived? There seems to be a growing audience for what is called the man romper or jumpsuit or RompHim. I didn't see this coming, did you? Fads are fun to think about and reminisce. Some may fade for a few years and then re-appear. Others are here and then gone forever. 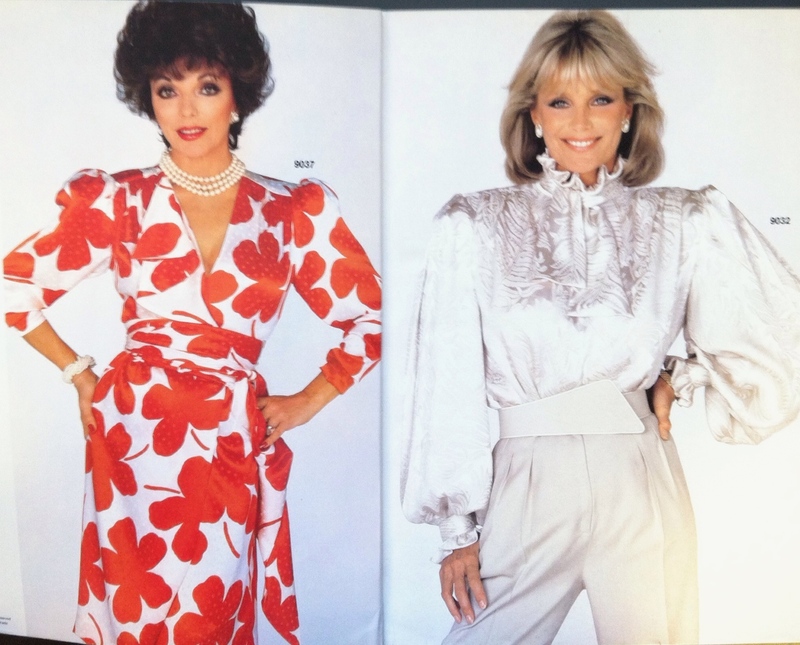 I'm still waiting for the return of Jantzen sweater sets!